I may have overwhelmed the would-be blogger with my epic email response, in which I answered her questions and included a bunch of topics of my own. While I’m a relatively new book-blogger (March 2009), I’ve been blogging since 2006 and have learned a few things, mostly from others, along the way. In 2006, I pretty much jumped into blogging without a second thought. I had been reading blogs for a bit and wanted to get in on the fun. Never did I consider book blogging–despite being an avid reader–until I was offered a book for review from my buddies at TLC Book Tours. Honestly, I didn’t even realize that there was a book blogging community out there! After doing the review, I kicked around the idea of starting a second blog devoted to books and reviews. For more than 5 months, I plotted and planned. I brainstormed and designed, read books, wrote some reviews, and visited SCORES of book blogs to get a feel for the community. Planning and organization are my dear friends and most people wouldn’t require that much time to get a book blog together, but I wanted to make sure I could be in it for the long haul. 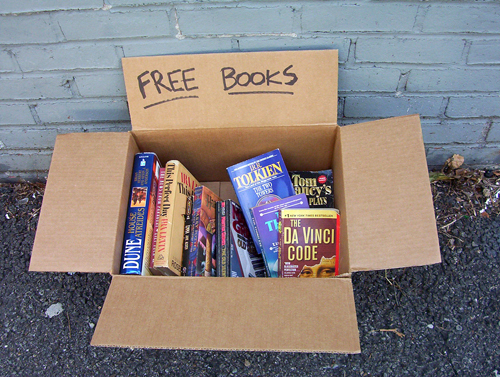 Be warned that you shouldn’t start a book blog to get free books. Nothing in life is free is an adage for a reason. To me, book blogging is sharing my love of books, making friends and developing a sense of community, learning about other great books, promoting new or unknown books and authors, and just having fun. If I get a few free books or score some cool author interviews along the way, I consider those things a bonus but not my motivation. My real-life friends often ask me if I get paid for book blogging. I do get paid, but not in the sense they mean. I’m paid in friendship, learning about new books, and the true currency of blogging–comments (leaving and receiving). And so, on to the pre-blogging topics I conquered before posting a single review on Book, Line, and Sinker. The following information is what I wrote in the email to the would-be blogger. Dorky as it may seem, when I started my book blog, I was waaay more prepared than when I started my life blog. I’d learned a lot in my 3 years of life blogging and approached Book, Line, and Sinker more professionally. I set goals and worked toward them. By taking care of all this pre-blogging junk, I was able to focus on writing and connecting with others once my blog went live. STRATEGIC PLAN (aka PURPOSE): What are you looking for from this blog? Do you want to get more organized with your reading? Make friends? Connect with other readers? Learn about great new books? Make a list of what you’re looking to get and then write out your goals for the first 3, 6, 9, and 12 months. Ex: 3 months from now, I want to have posted 12 book reviews, have at least 60 people following me on Twitter, and have participated in or joined a meme or challenge. BLOG NAME: To me, this is the biggie. Naming a blog is almost like naming a baby. Make sure you select something you will love forever and that is available on the social medias and email. I abandoned two names before Book, Line, and Sinker because I couldn’t get an email account to go with them. You might want to be straightforward (Mary’s Book Blog) or invoke a pun (Book, Line, and Sinker), but be sure you love it and that it’s not too long of a name. Mary’s Book Reviews and Thoughts on Writing might be a bit wordy for a domain. I posted on this topic a while back; here are some more thoughts on blog names. IMAGES: Select an image that will be your logo–something people will see and immediately connect with you and your blog. Make sure you are consistent with the image–use it as your favicon (the image that pops up in the address bar when typing a website name, avatar (the little picture that pops up when you leave a comment), use it on Twitter, FB (if you use it), and the other arenas that I’ll discuss in a bit. It could be your photo or another image, but just make sure that you absolutely love it, that it’s yours and not trademarked, and that you want people to associate it with your blog. For more info on how to set up your avatar and favicon, Trish at Hey Lady! already covered this. EMAIL & DOMAINS: If you plan on hosting on WordPress or Blogger, see if you can snag a gmail account with your blog name. It makes life easier to have your blog name act as your email for friends and publishers. Take a minute to check on GoDaddy.com to see if your blog name is available as a domain name. If so, you may want to purchase it before you start blogging. Even if you don’t self-host in the first few months, you may want to do so later on. If your name gets out, someone might snap up the domain and sit on it, or worse yet, try to get you to buy it from them. Spend the $12 and save your yourself future headaches. MUSIC: Music is a huge turnoff to most blog readers, especially those of us visiting while on company time. *cough, cough* You very well might have great taste in music, but please don’t foist it on unsuspecting guests. SOCIAL MEDIA & CONTACT INFO: Somewhere on the blog–preferably somewhere highly visible–include your email, links to your Twitter, FB, and an RSS and email subscription. An RSS allows people to sign up to receive your updates (see Create a Reader below). If bloggers or publishers can’t readily find a way to contact or follow you, they generally will not. RATING SYSTEM: Develop a book rating system that works for you. Some book bloggers use letter grades (A through F), some use numeric (1 to 10, 1 to 100), and most use the traditional 1 to 5 scale. There are all types of 1 to 5 scales–stars, slices of pie (like Care), bookmarks (that’s what I use), and plenty more. Have a written Rating System and clearly identify what the difference between a 2 and 4 star book would be. Post it on your blog in an easy-to-find location. REVIEW POLICY: Take a look at some of the review policies around and then build one of your own. Post it on your page so that when the time comes, publicists, authors, and publishers can see what you’re interested in. With reviews, stay true to yourself and be honest. It’s pretty easy to read through the lines when a blogger writes a less-than-honest review and if you do it, others might not take your reviews seriously. WRITE REVIEWS: Before I even started my book blog, I’d stockpiled book reviews to use in the first few weeks. Be sure to include a photo of the book, title, author (link to website), publisher, publication date, pages, genre, source (ie purchased, ARC, etc), and your rating. Again, these are suggestions, but are generally what bloggers include at the start of a review. Look around and see what works for you. CREATE A READER: Use Google or any of the other readers out there to create a list of book blogs that you enjoy, and the reader will keep you focused. There are a bazillion book blogs out there, so try not to get overwhelmed. Make a list of 50 to 100 to start–otherwise it can get a bit overwhelming–and this way you’ll see the new posts and can go to the blogs and comment. SOCIAL MEDIA: Start following all the publishers and other book bloggers on Twitter. Many times they will start following you, too so try to be responsible with your tweets. Look at other bloggers’ followers and friends and determine those you’d be interested in following and add them. Eventually, people will add you back and you will become a part of the community. You will learn about books, new posts, and new bloggers. Develop a purpose and THINK BIG. It’s easier to plan big when you’re small than to expand under duress. Be yourself. (This advice was given numerous times!) Find your voice and let your true self shine through. Be prepared to post and comment regularly. And on that sage advice, I’ll leave you until we pick up again in February with Part II of Starting a Book Blog where we’ll discuss posting, challenges, events, blogging etiquette, and more! If you’re looking for more immediate information, swing by Presenting Lenore’s blog–she wrote an exhaustive FAQ post about book blogging in 2009. This is a fabulous post! I wish I’d read it before I started my blog. I went in blindly, but really didn’t know book blogs existed when I started mine, hence the strange name. This is such a great post with many helpful tips. I’ve been blogging since 2007, but only started a book blog last year. My friend Ashley and I started our own book club and because we’re both active in social media, decided to launch a corresponding blog. We kept up with it for 3 months and then became busy, losing speed with regular updates until we stopped posting completely. Over Christmas, my uncle made a comment about how I’d let the blog grow stagnant, and it upset me. When the new year started, I became determined to keep the blog going. Needless to say, your post could not have come at a better time for Ashley and me. I can’t wait to read the next posts in this series! An amazing post, Nat. Useful not only for would-be book bloggers, but for bloggers of all persuasions. Having known you since those salad days, you continue to impress me with your professionalism, commitment and growth – not only to your blog, but to fellow bloggers and their work. I may tease you about having left CWG behind, but there are only so many hours in the day. The choice you’ve made to focus on your book blog is commendable. And (IMHO) an excellent piece of advice for anyone starting a blog. It’s far easier to focus your talents on a single blog versus two or more. Having two very different blogs myself, I very much enjoy the freedom both afford me, but switching between the two is tiresome and leads to jealousy. Hah! I give this post an easy 4 bookmarks. This is GREAT – and while specific to book bloggers, includes some good advice for would-be bloggers of all stripes. I love that you start with the “strategic plan” – it all follows from there, doesn’t it? If you have one, and you come up with a good title (and corresponding domain), you’re starting off on the right foot. I could have used this about four years ago :-). Wonderful advice, Natalie! I wish I’d had it back when I started my blog! I’m looking forward to the rest of the series. This is FANTASTIC! And some of the things I need to develop myself … I didn’t post my rating system anywhere when I move to WordPress and I’ve never ever done a review policy. Good advice! And as far as expanding under duress … yes, I’ve done that and it stinks. I did the long domain name too. In fact, I’ve spent my entire two years of blogging recovering from mistakes that I made just jumping in without thinking about it. To all new bloggers: LISTEN TO THIS. It is good advice! Per the actual content of this post and not just my ego noticing my name (ahem) I am SO GLAD that my blog developed organically. I just fell into it and am very happy with my little tiny corner of bookblogland. And I’m GLAD you are here, too. i can’t believe you were a CWG lurker!!!! how funny is that? as for signing up…well, i have to say that i’m honestly moved and thankful for people like you in this world. i sincerely thank you. I wish you had given me this advice before I started my blog! I started this thing just because I thought it would be fun, because I wanted to write, and because I love books. All the amazing people that I have met is just a fun bonus! But still, this is wonderful advice and some of these areas I still need to work on. I think its great that you are offering this wonderful advice to new bloggers or aspiring bloggers. You rock! I’ve been blogging for several years now but many of these tips are still relevant for me. Thanks for sharing the knowledge you have gained by being a blogger these past years! This is a great post. I wish I read it before I started my blog last December. 🙂 I’m still trying to figure the whole social media thing out. I have a Twitter account, but I’m still thinking about creating a Facebook page for my blog. The tweets and Facebook might overwhelm me. LOL. Btw, I love your layout, especially the header. I’ll add my voice to the chorus that’s already here: This is must-reading for anyone before they set up a blog. 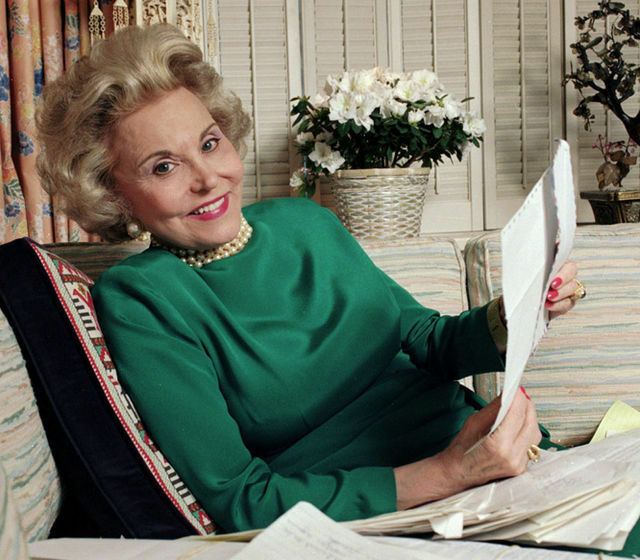 Great advice, Natalie (aka Ann Landers–LOL). Over time, “a)” has gradually diminished in emphasis at The Quivering Pen and “b)” has taken over. Lessons learned and many new friends made along the way. Thanks again for laying it all out there for us, Natalie. What a great post with so much sage advice. I particularly like the point about not getting paid ‘in the real sense’ for book blogging and yes, I totally agree picking a name, rating system and layout that isn’t busy is so important!